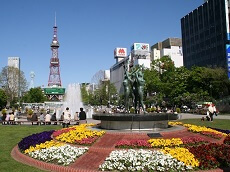 The Sapporo Flower Carpet is a special three day event in Sapporo, Hokkaido based on the Flower Carpet biennial event in Brussels, Belgium. 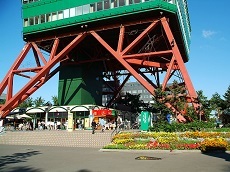 Held in Sapporo since 2014, each year brings over five hundred volunteers to decorate the paved brick road in front of the Former Hokkaido Government Building. 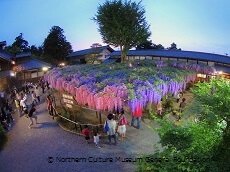 The event is typically held in June and covers 30 meters of road in beautiful flower petals. The scenery is enhanced with illuminations by hundreds of electric candles during the night which is perfect for photo-taking. 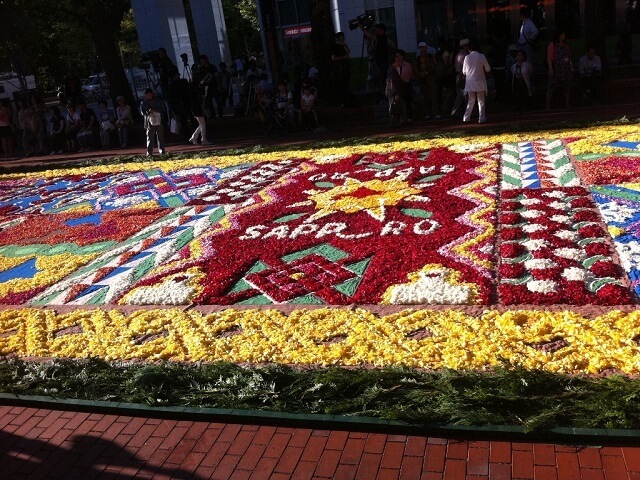 The Sapporo Flower Carpet Event is meant to bring together the community and to enjoy the beauty of nature. Because Hokkaido experiences much cooler seasons than the rest of Japan, there is only a limited time to enjoy the flowers. The Carpet Event makes the most of the season with beautiful petals of pink, white, red, yellow, and more in the city of Sapporo. 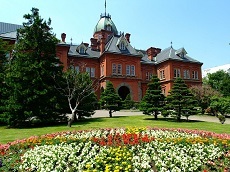 Add the Sapporo Flower Carpet to your list of can't miss spots in Hokkaido, or include it as a stop on a custom Japan tour vacation! Beautiful Wisteria Flower attract many visitors with its beauty and sweet fragrance.